We would like to present you the largest directory dedicated to IP telephony and VoIP service providers, bringing you a list of over 6000 registered companies. It is free and accessible to everyone webpage, which is updated daily. Look no further if you need to find a VoIP provider to meet your communication needs or to match all the requirements to run a successful voice communications system in your company. We have all information you need, feel free to check ratings, user generated reviews and news about latest IP communication technology advancements. Blazon Solutions is Australia based company who is globally retail and wholesale VoIP Call Service Provider. The company offers wholesale and retail Voip, Call Termination Services, CC CLI Routes and A-Z termination in worldwide at aggressive rates. Headquartered in Cyprus, deltavOx is a global retail and wholesale VoIP Service Provider with its active presence across the globe. Headquartered in Singapore, Inaani is a global retail and wholesale VoIP Service Provider with its active presence across the globe. The company offers VoIP Calling services, which facilitates the users to make low cost international calls using internet as a medium. Telkom Malaysia, Deutsche Telekom, BICS, Verizon and many more to ensures the best quality network in IP telephony. Backed by a diligent R&D team, Inaani has moved far ahead of other VoIP Service Providers present in the industry. 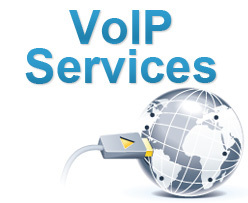 VoIP Providers List is the world’s leading website, with daily updated list of VoIP service providers. Our goal is to help you finding the most reliable and suitable IP communications provider, from over thousands available, that will meet your requirements and will make your telecommunications way better.